It was another beautiful day in paradise. Where were all the people? It was dry in the southern part of the county even though the central part had rain during the night. The only water we saw was at the homes trying to keep their lawns green. Since the wind was from the east we decided to skate the Pink Streets route. 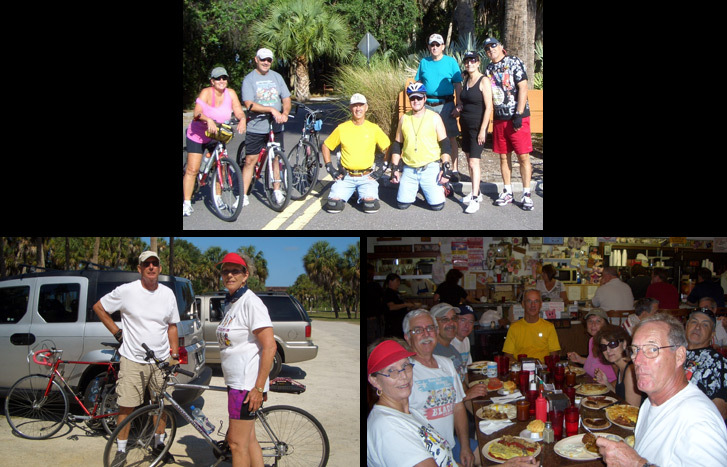 Roy and his visiting sister, Vivian D., went to the Skyway trail. They biked 11 miles. The Pink Street group went 11.5 Miles. Both groups returned within 10 minutes of each other and we went to Skyway Jack’s for brunch. They had a table waiting for us and we were in and out within an hour. Ratings were between 9.2 and 9.5.